Conveniently hang all your sewing, quilting and craft rulers in one spot. 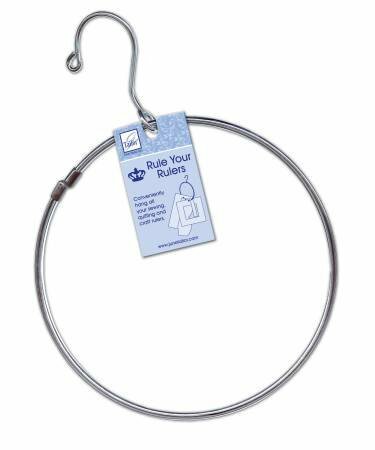 6-1/2in metal ring features a hanger and rubber tipped split in ring for easy removing and adding of rulers. Hang near your work area, sewing machine or cutting board for easy access to all your rulers.